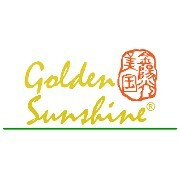 Golden Sunshine's line of herbal pastes contains our strongest formulation for treating serious injuries or arthritic conditions where deep penetration to the connective tissues is desired. It is ideal for trauma to muscles, joints, or bones. These pastes now include our advanced far infrared technology for even greater efficacy. Use these pastes as an analgesic for acute or chronic pain, sore muscles, and stiffness. Note that these products should not be used on wounds, cuts, or abrasions. Our range of dressings is designed for use with our herbal pastes or poultices. Cut the cotton pad and cover with paste. Then stabilize on the area with the cotton roll dressing for extremities or self-adhesive gauze on larger areas of the body. Use these dressings on extremities. Flexibility of the dressings allow the joints to articulate while keeping the paste in place. This dressing is ideal for stabilizing the arms, wrists, and elbows of people of a small build. Each bag contains approximately 20' of cotton roll dressing. This dressing is ideal for stabilizing the arms, wrists, elbows, and ankles of people of a medium build. Each bag contains approximately 20' of cotton roll dressing. This dressing is ideal for stabilizing the ankles and knees of people of a large build. Each bag contains approximately 20' of cotton roll dressing. This dressing is ideal for stabilizing the knees, and thighs of people of an extra-large build. Each bag contains approximately 20' of cotton roll dressing. Use these dressings on larger areas like backs or shoulders. 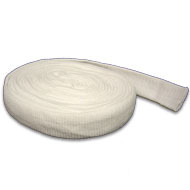 This gauze is ideal for stabilizing the dressing on flat areas of the body. 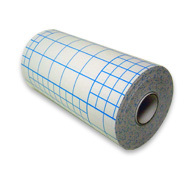 Each roll comes with a 20cm x 10m roll of self-adhesive paper and can be cut to size. 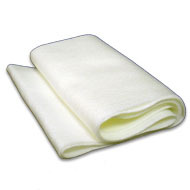 This smaller gauze is ideal for stabilizing the dressing on flat areas of the body. Each roll comes with a 15cm x 10m roll of self-adhesive paper and can be cut to size. Cut the pad to the size and shape you want and apply the paste like peanut butter not all the way to the edge to prevent leaking. Then, apply to the area you want to treat and use the cotton roll dressing or self-adhesive gauze to stabilize it on the area. Cotton pads should be applied over herbal pastes and poultices to prevent leaking. 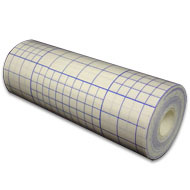 This product comes in a 4" x 4' roll and can be cut to size.